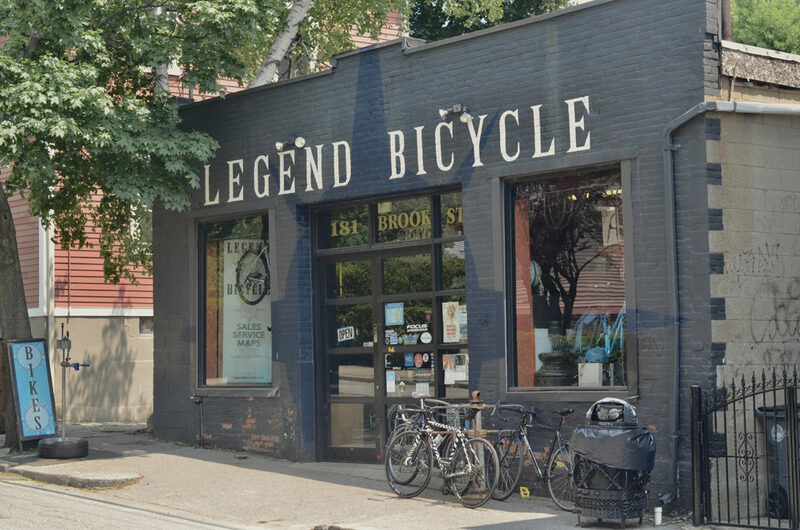 Located in Providence’s East Side, Legend is the place for bikes and bike repair in Rhode Island. In addition to adult bicycles in every size and shape, you will find the parts and accessories to keep them on the road as well as to keep you up to date with the latest in what you need to ride high in the saddle. Legend sells new bikes from Jamis, Focus, Fuji, SE, Surly, and Brompton. Whether you want an affordable bike for the casual pedal around town, or the latest race-worthy machine, we have what you need and everything in between. The staff at Legend is expert at fitting you to the bike and the bike to your needs. Since 2011, Legend has been a sponsor of the Woony River Ride, an annual fundraising ride to benefit the Woonasquatucket River Watershed Council (WRWC).